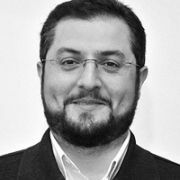 Emin Guluzade is Chief Creative Officer and Managing Partner at PeopleBrand Azerbaijan. Guluzade's experience in marketing and sales includes working as Marketing Advisor at Real Holding, Marketing Specialist at Nurgun Motors and Sales Director at Nipro Allied. Guluzade has worked on campaigns for major international brands including Johnson & Johnson, Gillette, BIC, Ford, Nissan and Peugeot.